Britain's Katarina Johnson-Thompson has the world pentathlon record in sight after a superb morning on the first day of the European Indoor Championships. The world indoor champion leads with 2,989 points. Personal bests in the long jump and 800m later on Friday would see her beat Nataliya Dobrynska's 5,013 set at the 2012 event. France's Solene Mdama is second, with Great Britain's Niamh Emerson third. 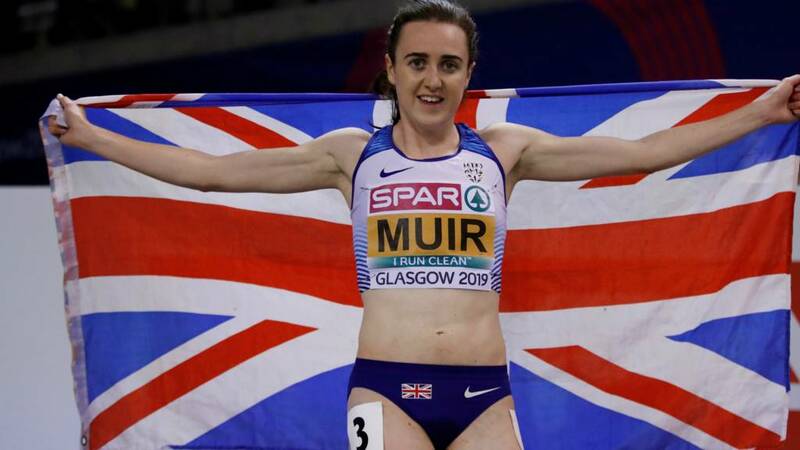 Read the full report here of the first session on day one at the European Indoor Athletics Championships in Glasgow. Video caption: GB's Katarina Johnson-Thompson throws lifetime best in the women's pentathlon shot put.GB's Katarina Johnson-Thompson throws lifetime best in the women's pentathlon shot put. British pentathlete Katarina Johnson-Thompson leads the standings after three events at the European Indoors in Glasgow, including a lifetime best of 13.15m in the shot put.